If you’re looking for a reliable and enjoyable way to get in shape, then a treadmill can be just the solution for you. Rather than paying an expensive gym membership you’ll never use, you can instead bring the gym to you by buying a treadmill for your home. At first, you may think that getting one of these machines would be both expensive and problematic. Aren’t they massive? Fortunately, that’s not a problem. Today we’re going to be looking at the five best treadmills under $600. 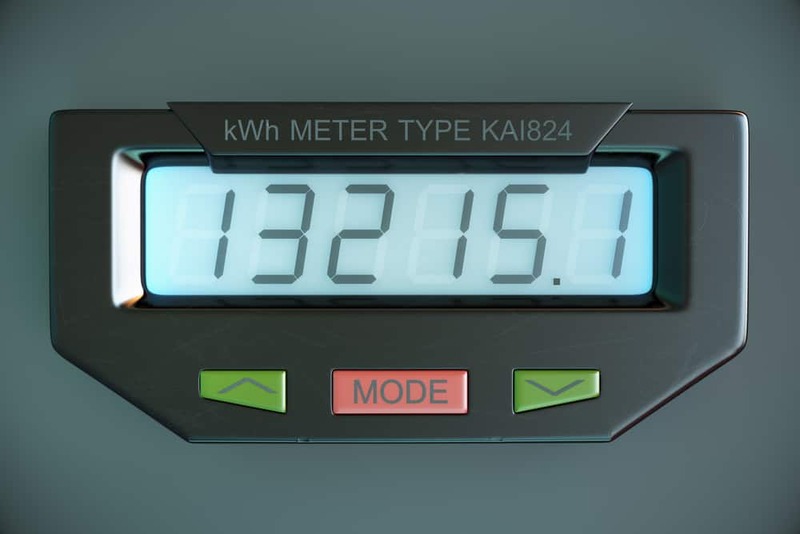 Not only are these devices affordable, but they are also designed for home use, meaning that they won’t take up as much room (or electricity) as you might think. These treadmills can help you get into shape without taking over your living space. So, with that in mind, let’s see what they have to offer. Before we start looking at the top models, it’s best if we take a moment to go over the various elements you can find in a personal treadmill. Because the goal is to use this machine on a regular basis, you want to be sure that it will fit your needs. 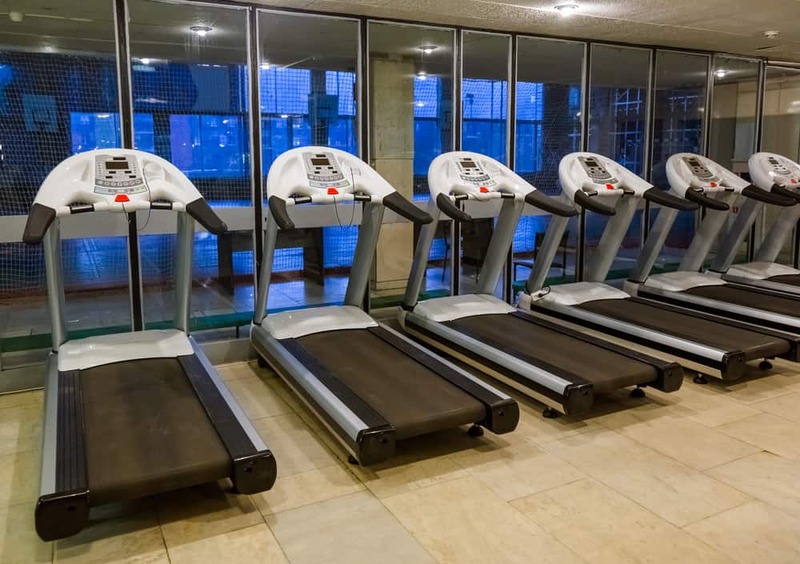 Here are the most crucial aspects of having a treadmill in your home. Because we already know that the models we’ll be seeing are within your budget, the next step is figuring out if the size is sufficient for you. When looking at the dimensions of a treadmill, there are several elements to pay attention to the most. Are you going to be running on your machine or walking? Even if you aren’t in good enough shape to run right now, are you planning on building up to that point? If so, you want a treadmill that has a belt that’s at least 55 inches long. If you are taller than six feet, we recommend at least 60 inches to be safe. If you’re more inclined to walk, then you’ll need at least 40 inches or more. Getting a treadmill that is too narrow can be a huge pain, especially when running. For that reason, you want to get a model that’s at least 20 inches wide. If you are currently carrying some extra weight, then you may want to get a unit that’s a little wider so that you don’t feel like you’re being caged in. Also, runners will want a belt that’s at least 22 inches wide to ensure that they can avoid banging into the side handles while moving. If you are planning on getting a treadmill that offers an incline feature, then the height will be crucial to your decision. This factor will be even more vital to understand if you are already tall. Most treadmills add about six to eight inches without an incline, so keep that in mind when figuring you where you will place it. The other thing to remember is that you should allow for at least a foot or two of clearance above your head when at the full incline for safety reasons. Thus, if the ceiling is shorter or there are any obstacles (i.e., fans or light fixtures), try to avoid them as much as possible. Another critical factor in deciding the right size for your treadmill is how it will fit into your space. Ideally, you will have about three feet of clearance on either side, with another eight feet behind. This extra room is designed for safety, so try to get as close to it as possible. That being said, we understand that you may be limited in your options. However, you should still strive to keep at least some clearance on all sides of your treadmill (i.e., avoid putting it against the wall) if possible. If you’re like most people, one thing that keeps you motivated throughout your exercise experience is tracking your vitals. Being able to count things like calories burned and your heart rate can help ensure that you stick with your workout. That being said, here are some common elements you may want your treadmill’s control panel to include. Entertainment Add-Ons: some high-tech models will allow you to play music or watch videos through the machine itself. Vital Tracking: one option is to sync your treadmill to an online health tracker so that you can monitor your progress over time. Storage: do you want to read while walking? You’ll need a shelf. What about a water bottle holder? A place for your smartphone? Pay attention to the storage options that come with your treadmill. The size of your machine is going to be a critical deciding factor, but you may not be able to dedicate a permanent space for your treadmill. If that’s the case, then you should invest in a folding model. Folding treadmills make it easier to keep it out of the way when you’re not using it, but not all units are the same. Some of them can fold almost flat so that they can stick in a closet. Others, however, may still take up a lot of room when folded, so keep that in mind. Another thing to consider is if the treadmill has power assist. This feature allows you to fold it regardless of your physical strength. 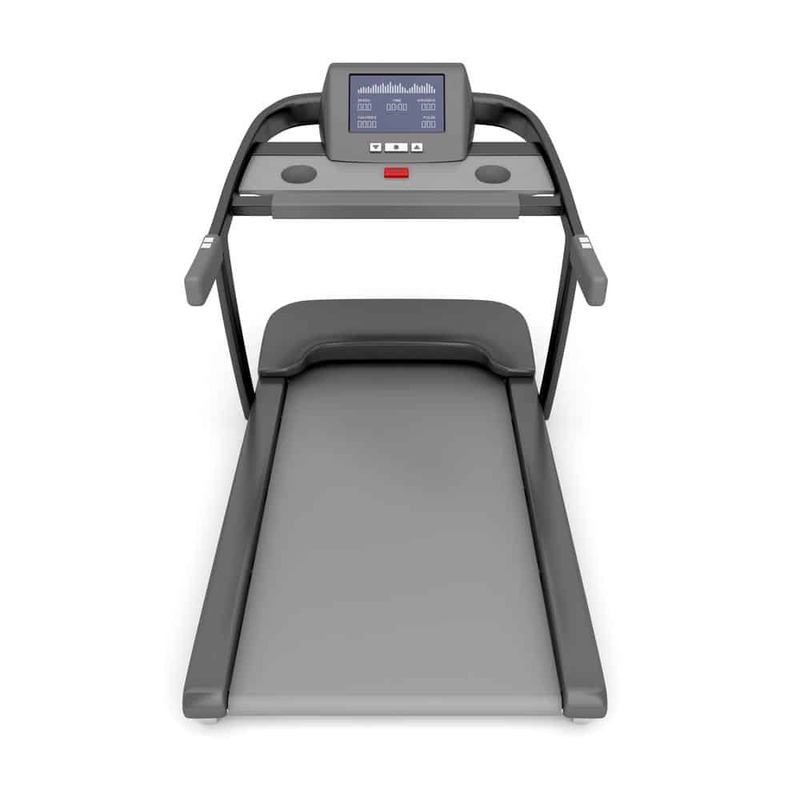 Overall, folding treadmills perform the same as static, but you may not be able to find ones with a substantial motor. So, if you’re looking for a high-performance treadmill, you may have to stick with a static model instead. Because treadmills are motorized, you want to get a unit that can handle the amount of use and abuse it’s going to get. For example, if you plan on running for an hour each day, then you need a more robust motor than if you were going to walk for just four days out of the week. Treadmills motors are listed by horsepower, so it’s better to find one with more horses if you plan on using it more frequently. Also, more HP means the faster it can go, which is critical if you are going to be running a lot. One element you should also pay attention to when picking out a motor is the weight limit for the treadmill itself. Most models can carry between 250-400 pounds, but it’s essential that you find one that is rated for at least 50 pounds more than your current weight. Why? Because you won’t strain the motor as much that way. Finally, see what the top speed of your treadmill is. Most models under $600 are going to offer less MPH than more expensive units, so if you’re really trying to push yourself, you may have to consider paying more for the extra power. Because we’re looking at the best treadmills under $600, most of these are going to be as efficient as they are economical. In this case, we have the Marcy Folding Treadmill. This unit is built for average to small-size users, with a belt size of 47.2 x 16.5 inches. This means that it takes up less space, but you don’t have as much freedom to move around. Overall, this treadmill is perfect for those who like to walk more than run. It has a one-horsepower motor (peak 2HP), which offers speeds between 0.5 and eight miles per hour. These speeds coupled with the narrower belt mean that walking and jogging are ideal with this machine. 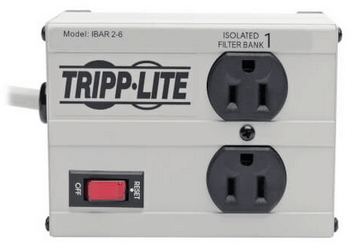 The control panel is compact and easy to use. It has a five-inch LCD screen and sleek buttons that make it both efficient and ergonomic. The unit comes with 10 preset workouts, as well as three exercise settings for your convenience. When using the treadmill, you can track your miles, speed, calories burned, and the time. It doesn’t come with a heart rate monitor, but it does have storage on either side for your cell phone or other devices. As the name suggests, this treadmill folds in half for easy storage, and it has wheels on the bottom so that you can roll it from one place to another. It also comes with a latch so that it won’t accidentally come undone while moving it. If you want a high-tech treadmill under $600, then this portable model by Shayin is one of the better options out there. Not only does it come with a robust motor and durable construction, but it has an incredible control panel that offers a lot of different workout and entertainment options. First, let’s talk about the performance of this treadmill. The motor allows it to reach top speeds of almost 10 miles per hour, making it a better choice for both walkers and runners. However, the speed is listed in kilometers, so keep that in mind. In fact, all of the data is based on the metric system, so you may have to do some conversion to ensure accuracy while exercising. Other elements that help your workout are the three incline levels and 12 workout presets. These will ensure that you can do more with this machine than other models, which will enable you to reach your exercise goals that much faster. Next, let’s talk about the control panel. We love what this unit has to offer. It comes with a backlit five-inch LCD screen, which can display your heart rate (sensors are built into the handles), speed, time, calories burned, and workout level. What really sets this panel apart, however, is the fact that it comes with both an AUX cord plugin and a USB interface. Thus, if you like to listen to music while working out, you don’t have to wear headphones to hear it. There are two speakers built-in on the bottom of the panel to make it that much easier to jam while running. Finally, this treadmill comes with a three-year limited warranty. Although this next model is not as high-tech as some other treadmills, it’s built for those who want more control over their workout. It has a simplified control panel and a high-performance motor to ensure that you can get the exercise you need. First of all, this treadmill is a bit on the longer side. It has a 50-inch belt, which is perfect for most joggers and runners. That being said, it is only 16 inches wide, so it may be a little narrow for some people. Secondly, it has a 2.0 CHP drive motor. This allows you to go up to 10 miles per hour, even at an incline. There is also a ProShox system underneath the belt to help absorb shock while running so that both your joints and the machine get less wear and tear during your workout. The control panel is nice because it has simplified buttons and a bright LED screen. There are 10 buttons for the speed (0-10 MPH), and 10 buttons for the incline (0-10%). There are several preset programs installed, and you can check your heart rate with the built-in sensors on the handles. Overall, this is a remarkably simplified treadmill for those who are more focused on getting a good workout than anything else. Just put it in front of a TV, and you’re good to go for as long as you like. One thing that most people don’t realize about owning a treadmill is that there is a certain level of maintenance involved. Too often, users believe that they can use their machine with impunity for as long as they like. Unfortunately, that can lead to a lot of problem in the long run. To ensure that your belt stays in optimal condition, you will have to lube it regularly. Fortunately, this model from GoPlus comes with an integrated oiling system that makes it so much easier to do this. Rather than having to pull pieces apart and lube it manually, you can drop the oil into the designated spot – making the process much less messy and much more efficient. Lubrication is not the only thing that sets this treadmill apart. We also like the robust 2.5-horsepower motor, which is built to last a long time. Coupled with a shock absorber in the frame and noise reduction technology, this is one of the tougher treadmills you can find. As far as the control panel is concerned, you get a lot of options there as well. We like that it comes with a built-in MP3 port for listening to music and that it has an incline. You can set it up to 15%, making it more functional than other models. You can monitor your time, speed, calories burned, and your heart rate with this machine, which helps keep you on track to meet your fitness goals. Overall, GoPlus has made a winner with this treadmill. If you liked the GoPlus above, but you felt that it wasn’t quite up to the level you wanted, then you should get this upgraded version. Like the original, it still comes with a 2.5-horsepower motor and an integrated lubrication system (lube is also provided in this case), but it offers more power, more speed, and better settings. First of all, you can go up to 11 miles per hour with this treadmill, making it the fastest model on this list. Second, it has a 15% incline, meaning that you can do more with your workout and burn more calories in less time. Next, this model has a heavy-duty steel frame. This allows it to support up to 285 pounds, which is better than any other treadmill we’ve seen so far. Also, it still has a shock absorption system, meaning that you are putting less wear and tear on both yourself and the motor. The size of this treadmill is also better than the rest. The belt is 50 inches by 18.5 inches, making it the longest and widest option we’ve seen so far. When taking all of these upgraded features into account, it’s easy to see why this is one of the best treadmills under $600. In fact, we could say that it’s one of the best treadmills overall, regardless of the price. Overall, in trying to find the best treadmill under $600, we are looking for the one that provides the most options and best performance. In that case, we have to say that the GoPlus 2.5HP Folding Treadmill meets and exceeds our expectations. The more powerful motor allows you to do more with this machine – it offers higher speeds, a better incline, and more support than the others on this list. The integrated cushioning and heavy-duty steel frame make it a worthwhile option for any exercise enthusiast. No matter your fitness level, you can get everything you need from the GoPlus 2.5HP, which is why it’s our top pick.